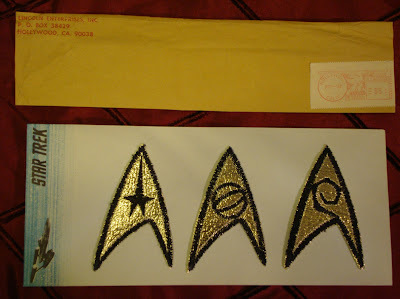 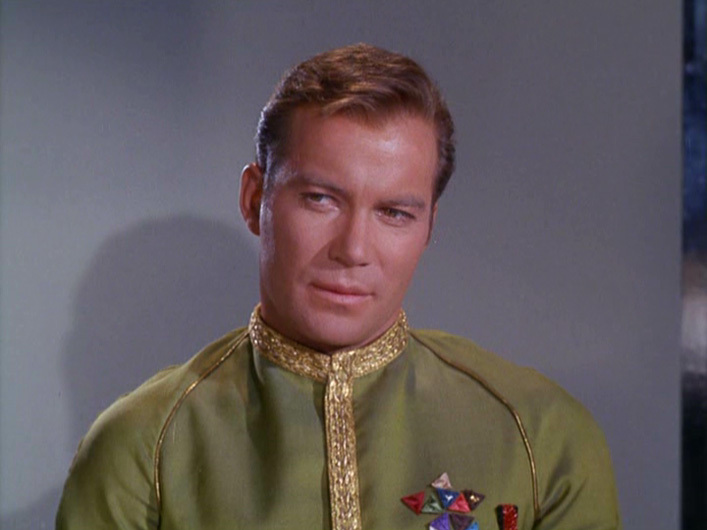 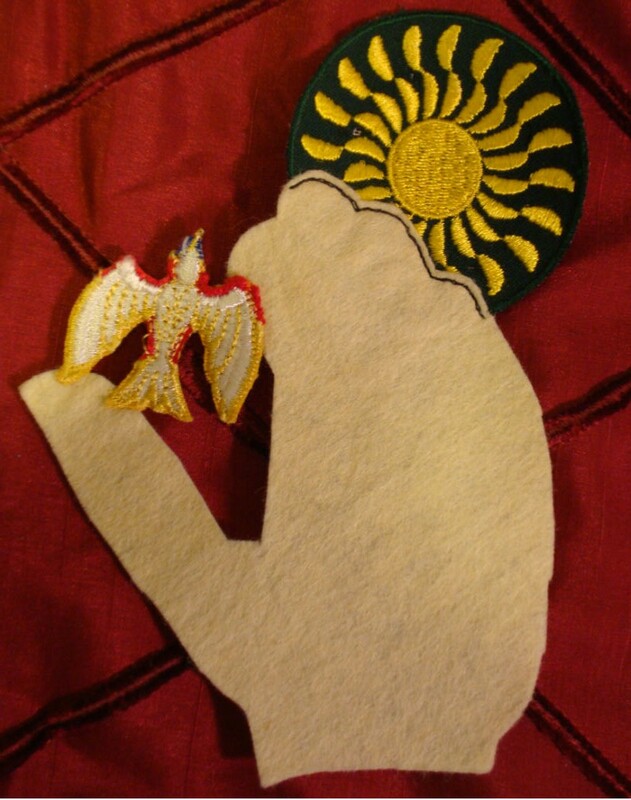 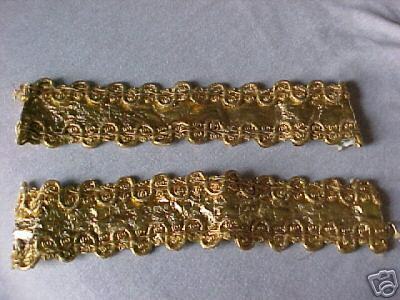 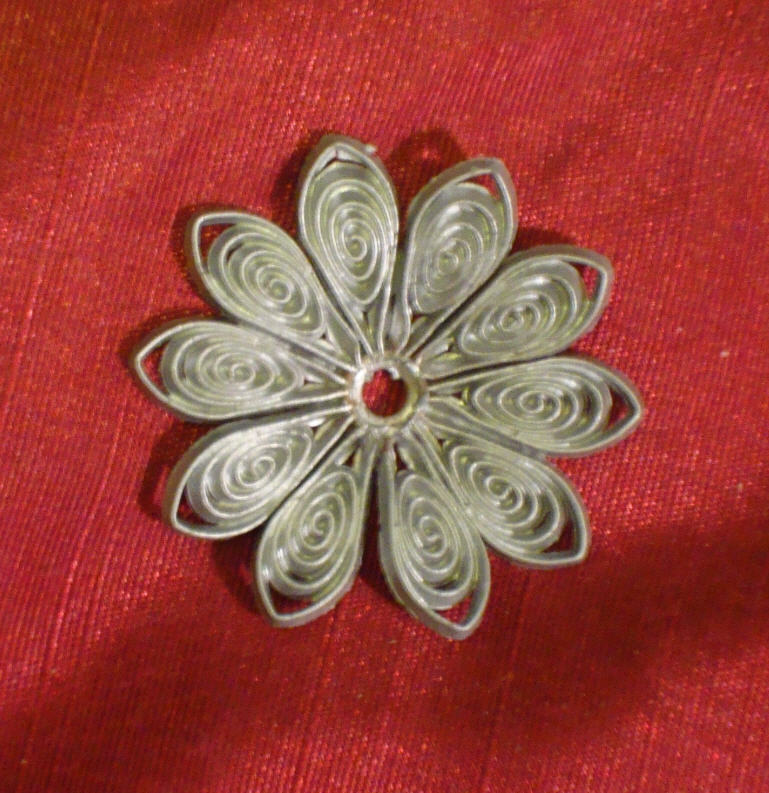 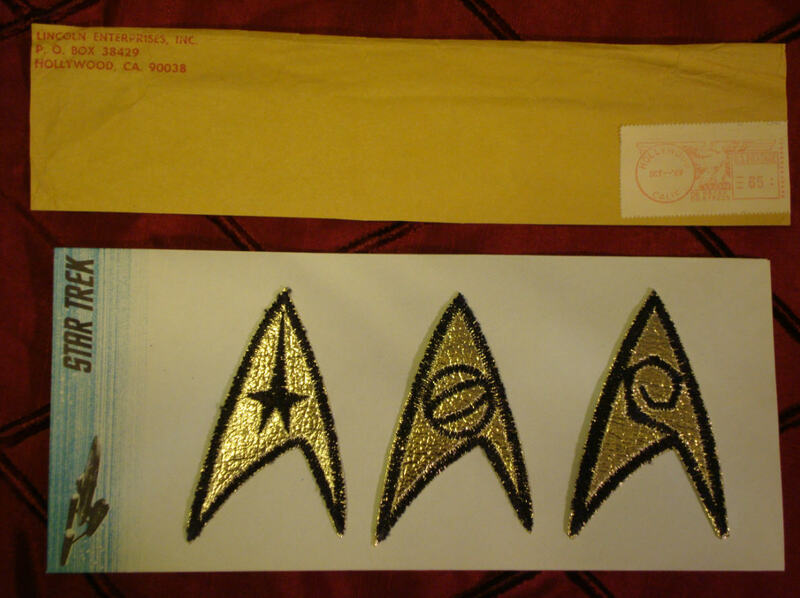 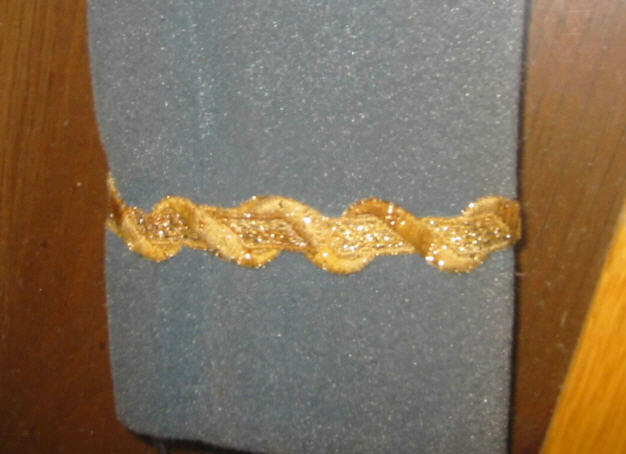 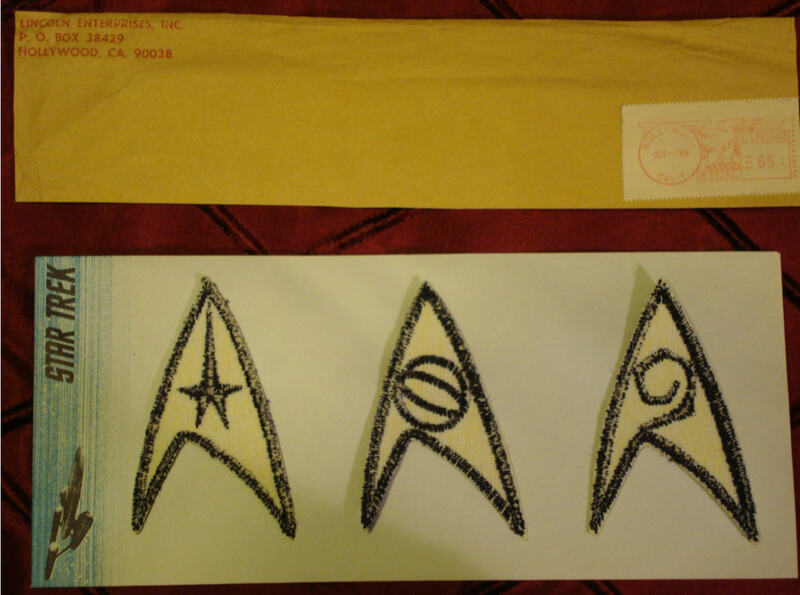 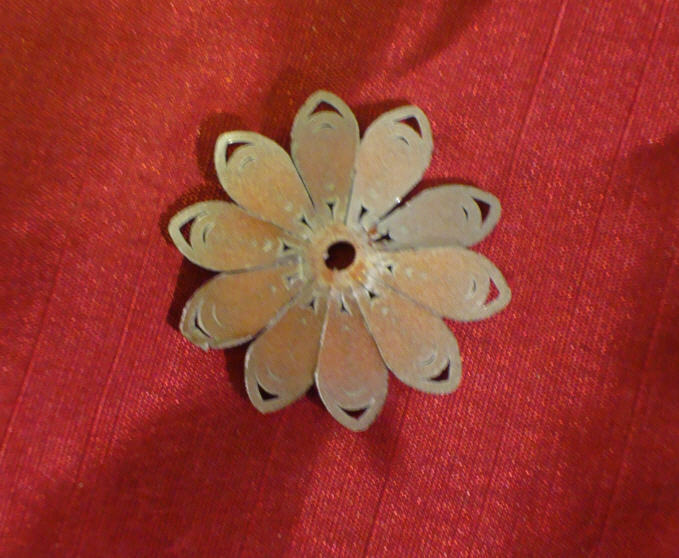 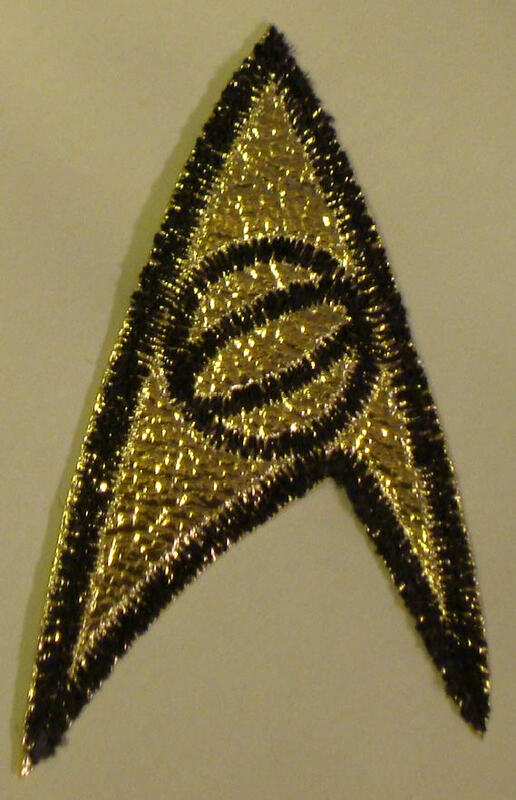 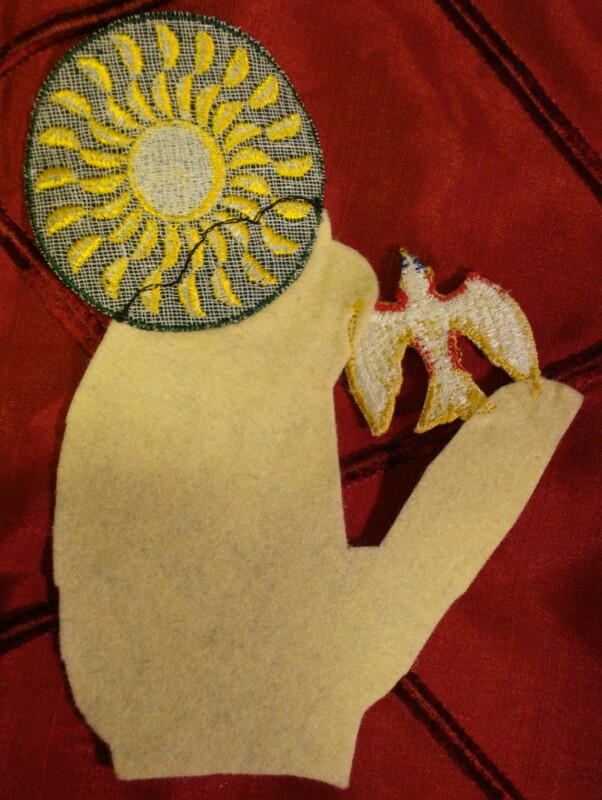 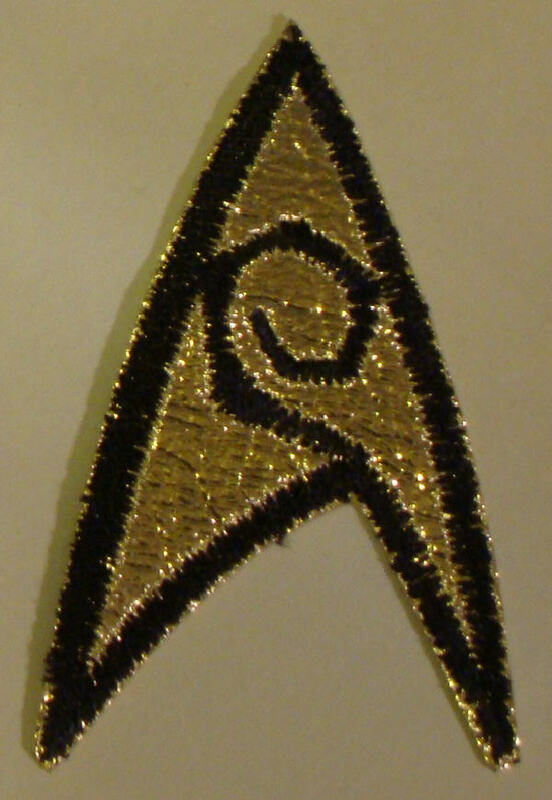 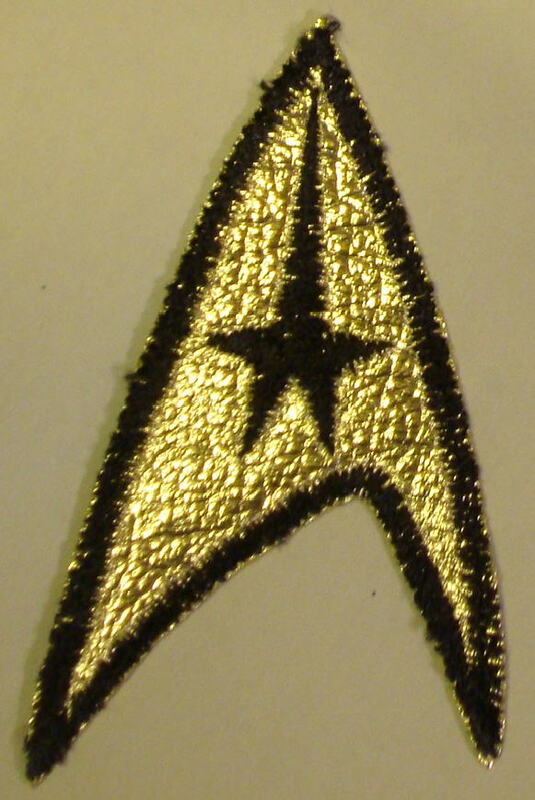 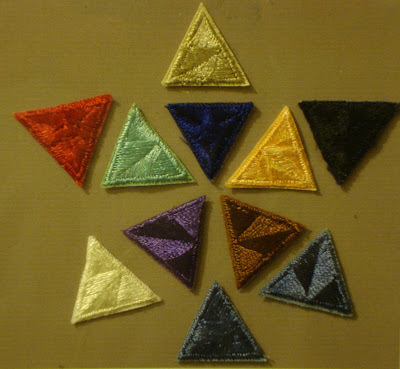 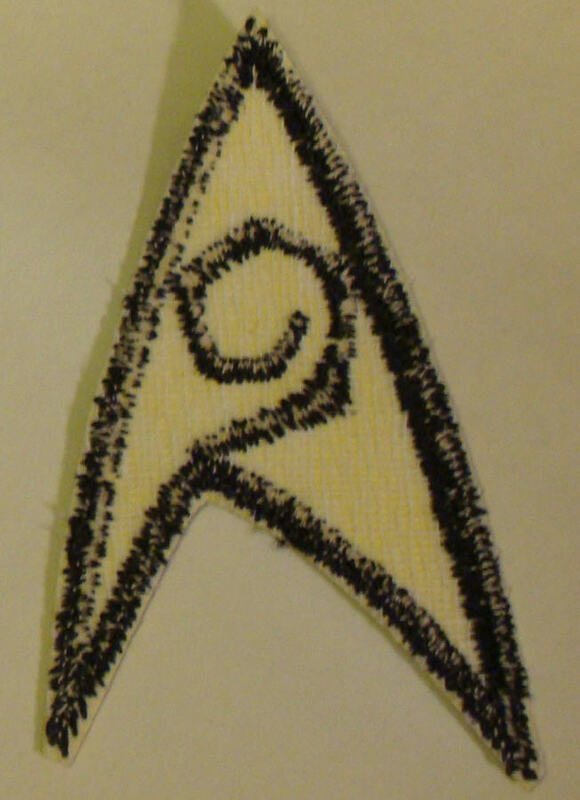 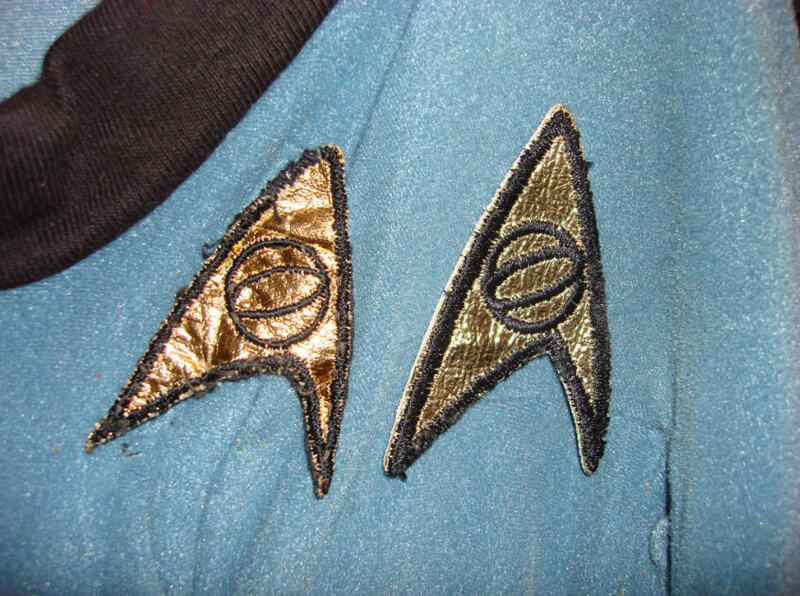 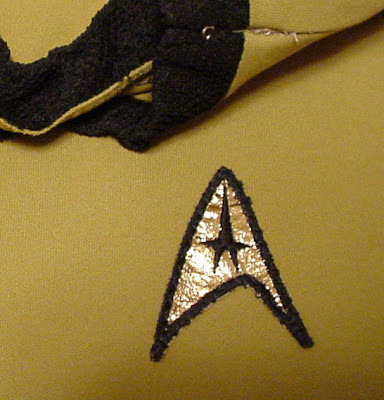 The following are some closeup photos of assorted Starfleet division patches, insignia, decorations and braid used to adorn the different uniforms of Star Trek: The Original Series. 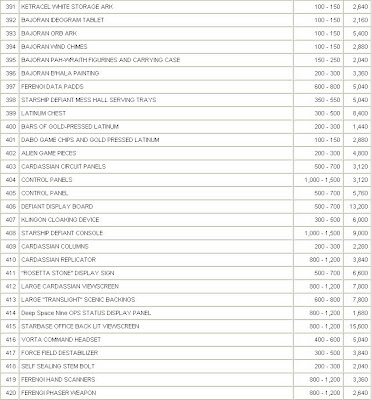 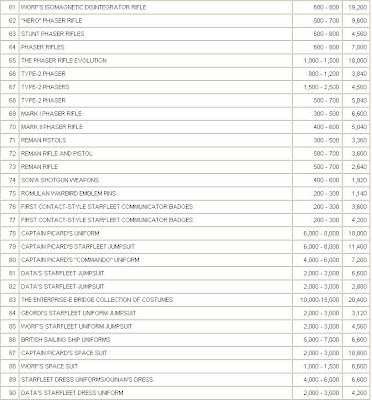 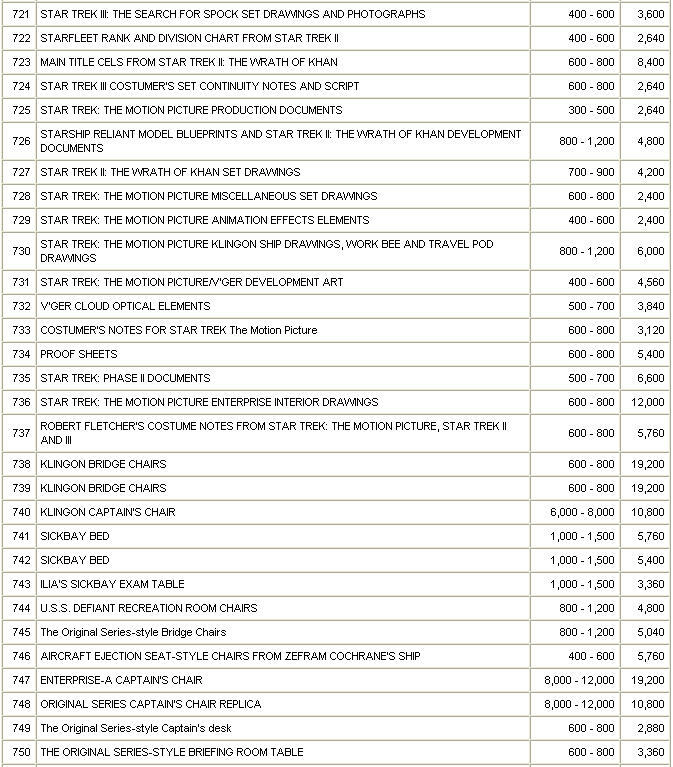 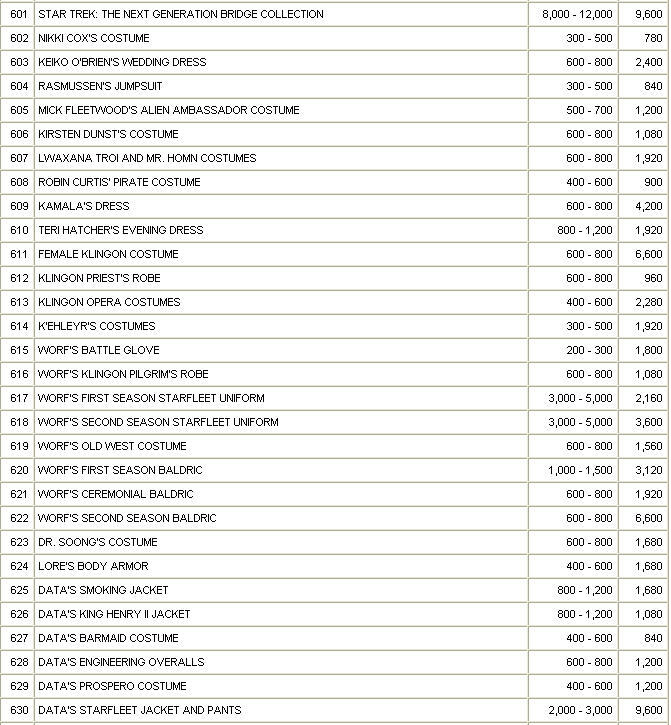 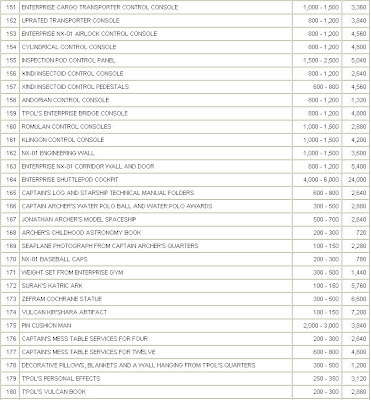 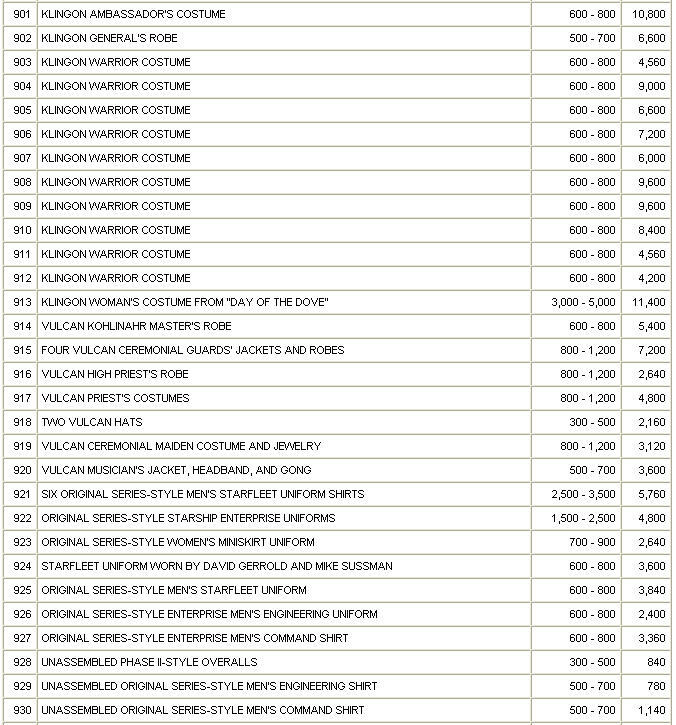 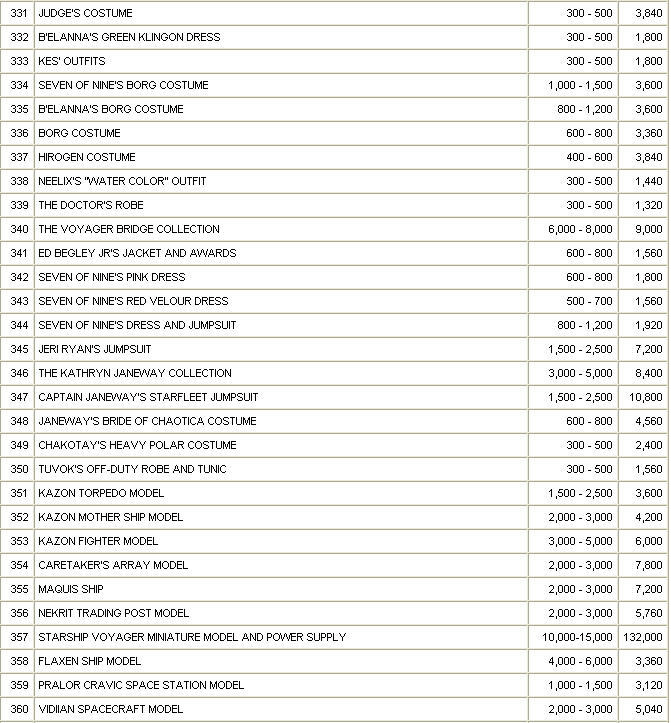 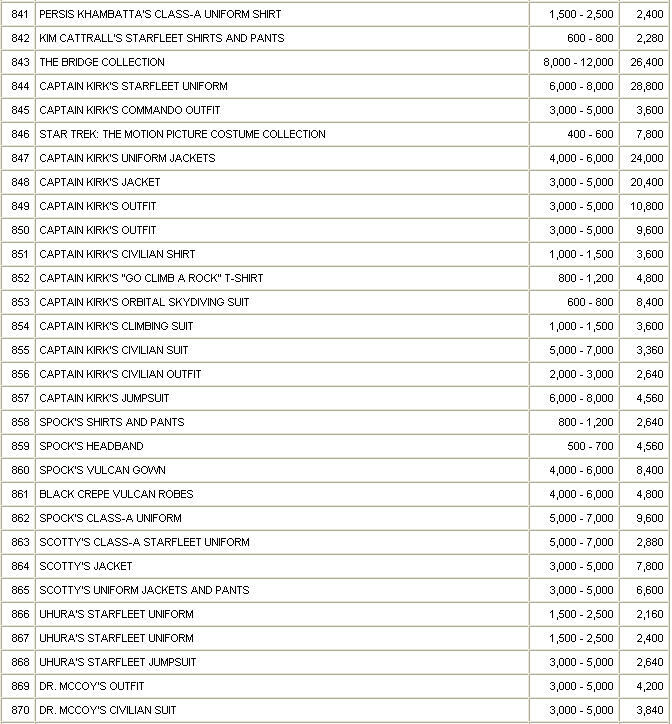 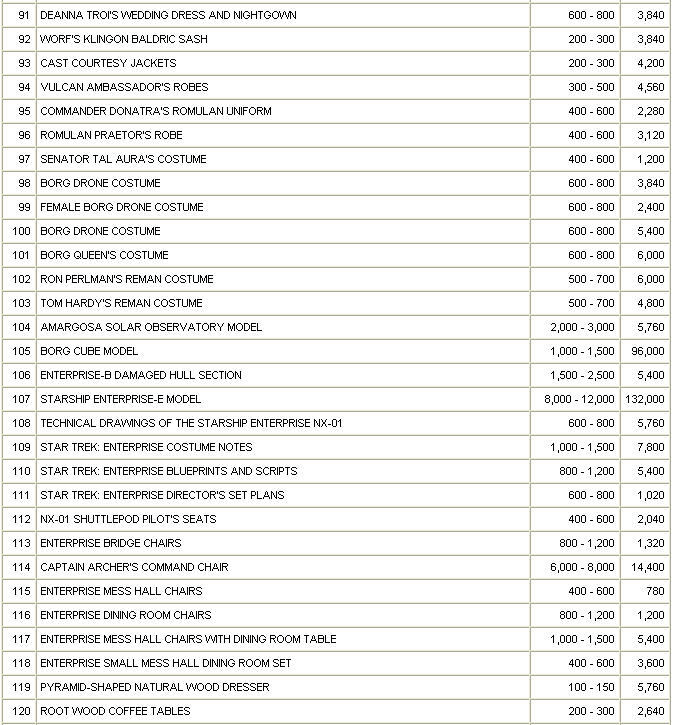 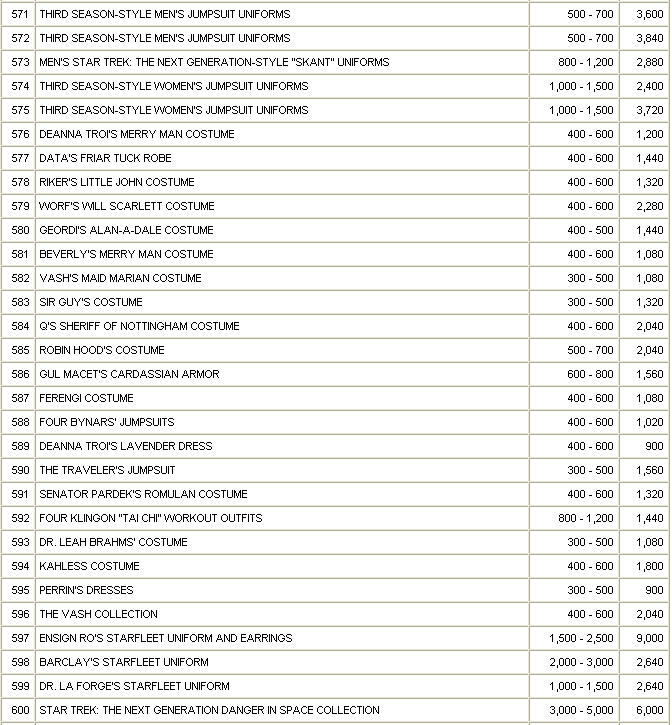 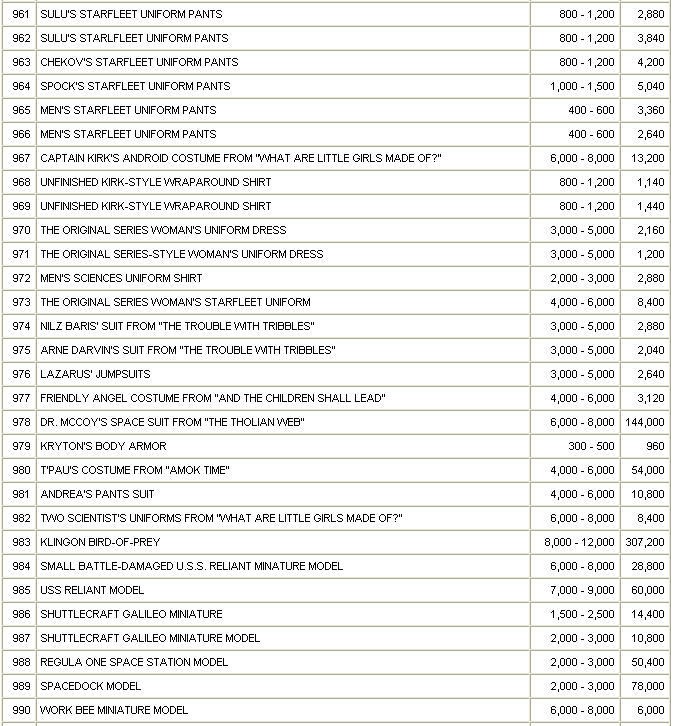 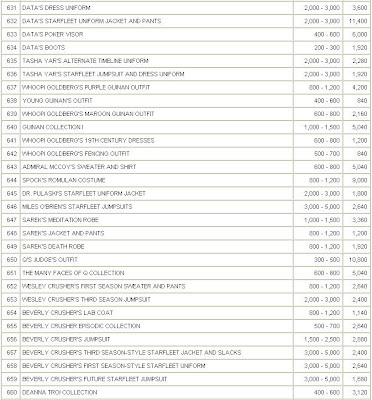 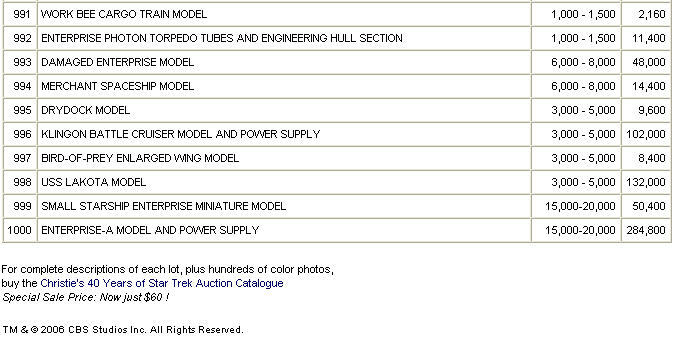 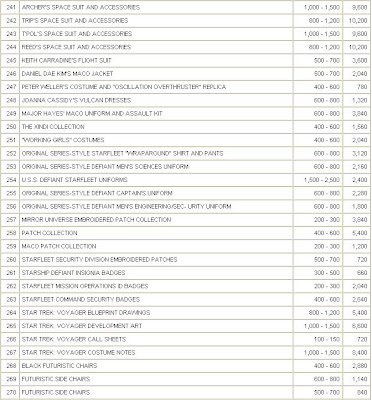 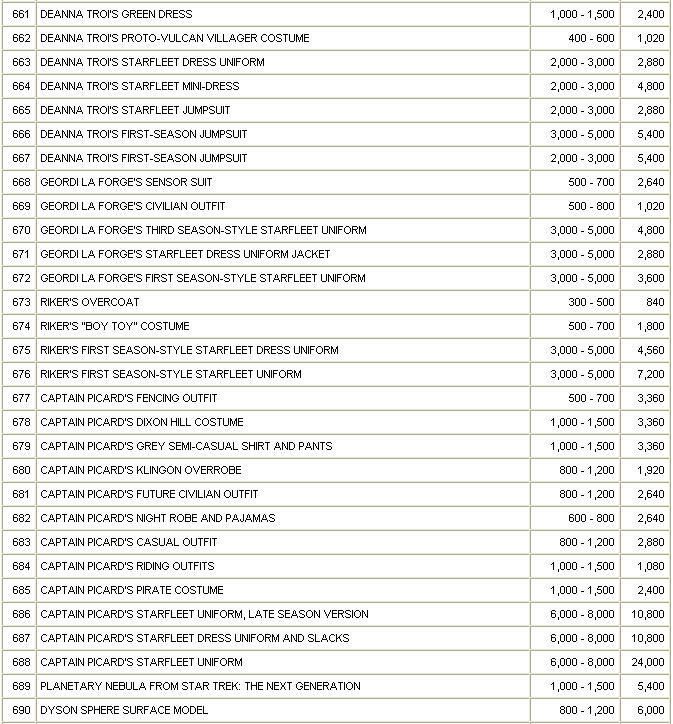 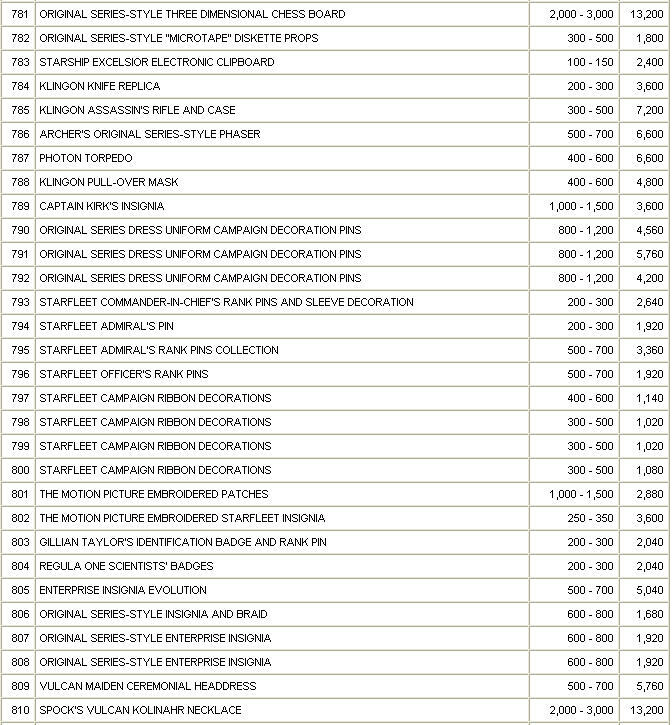 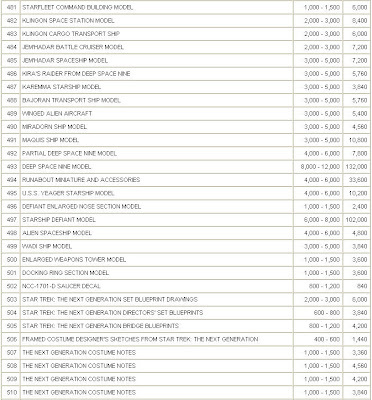 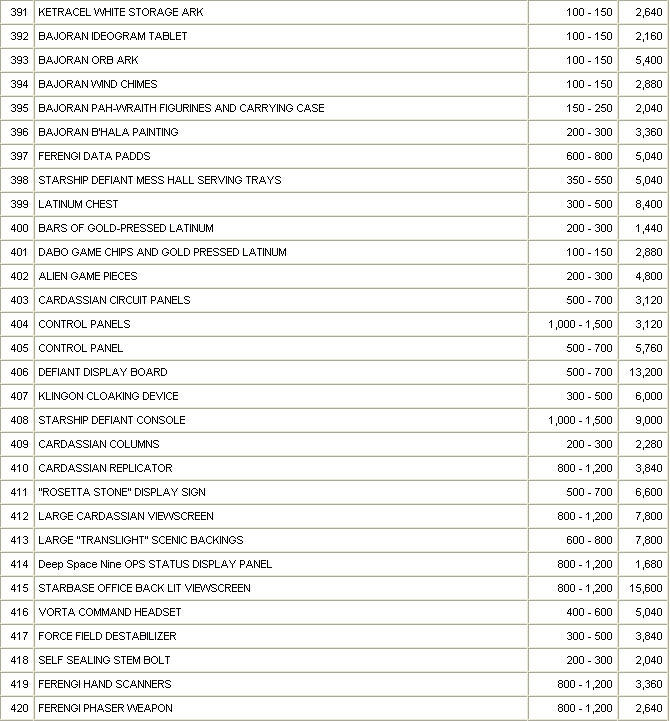 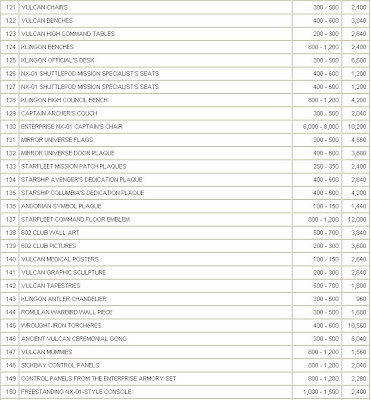 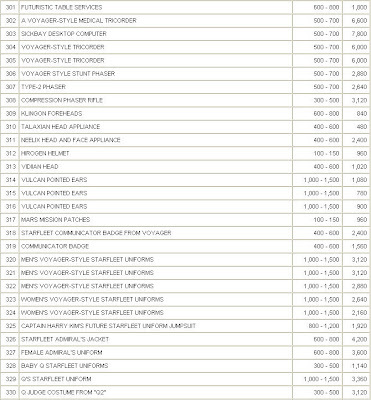 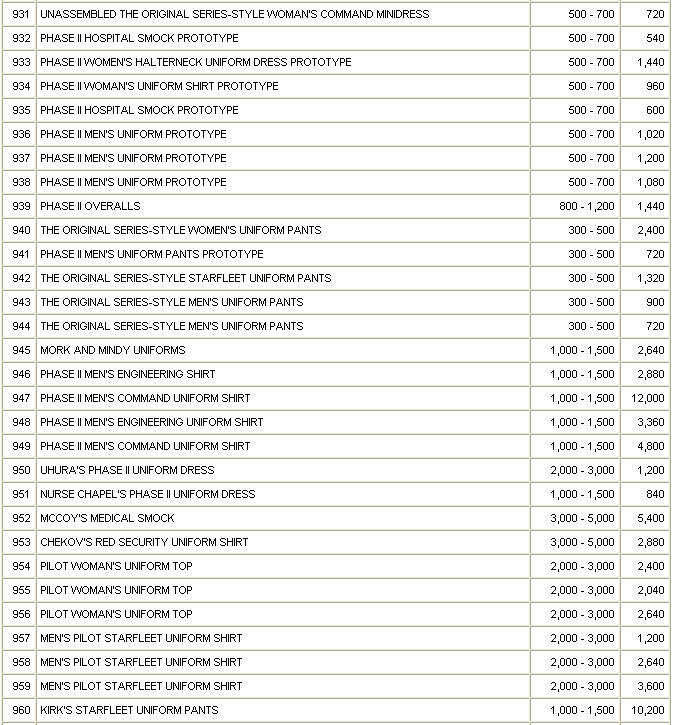 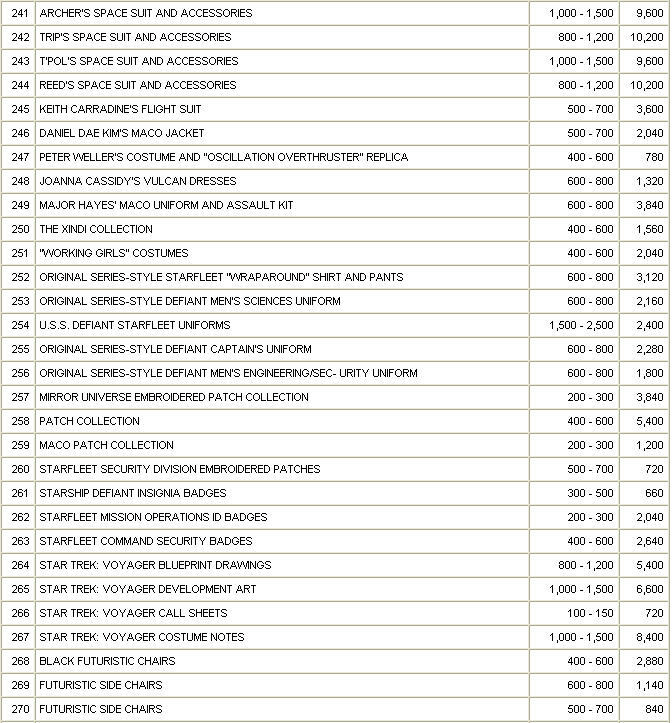 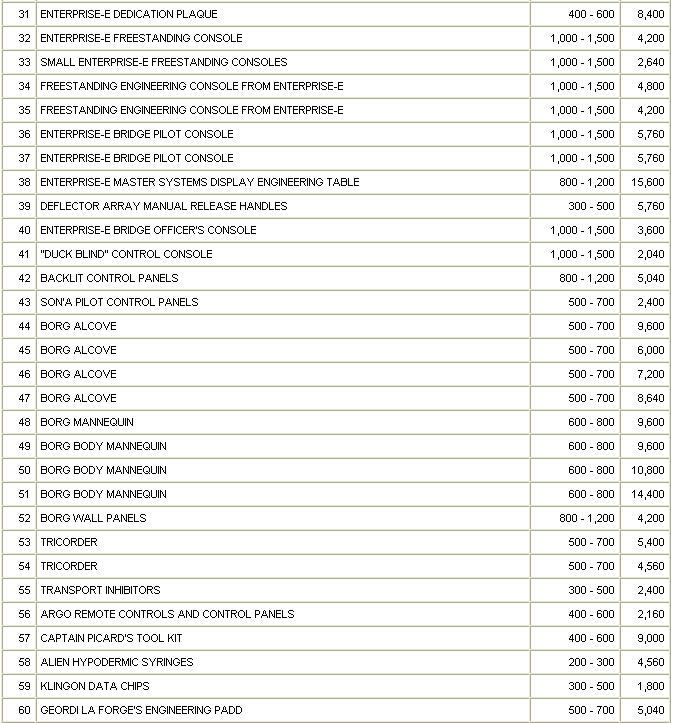 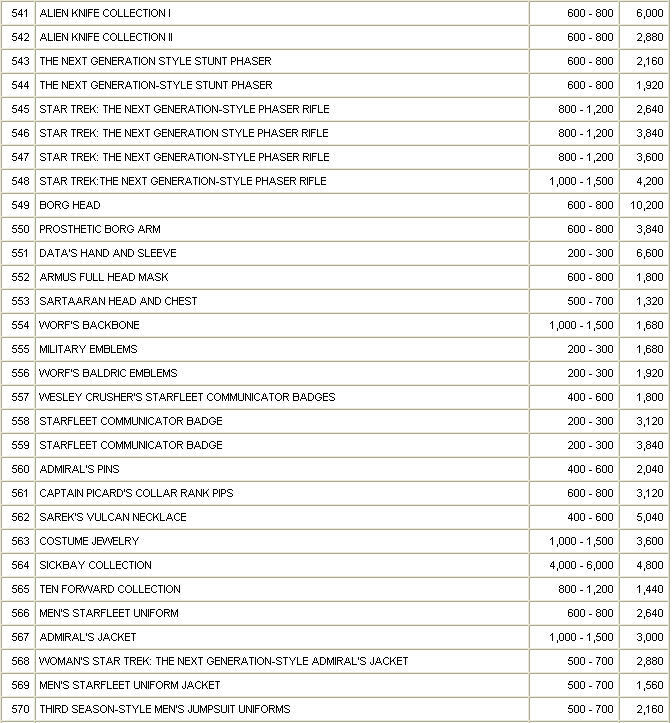 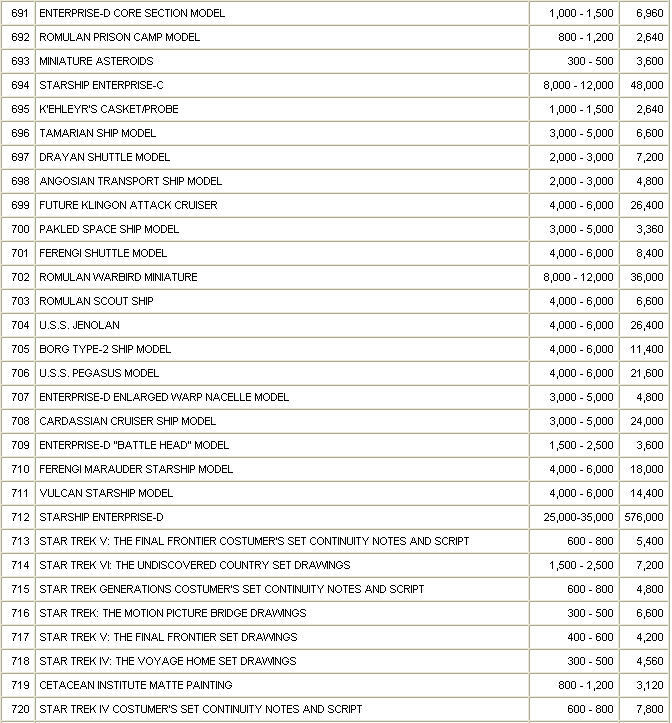 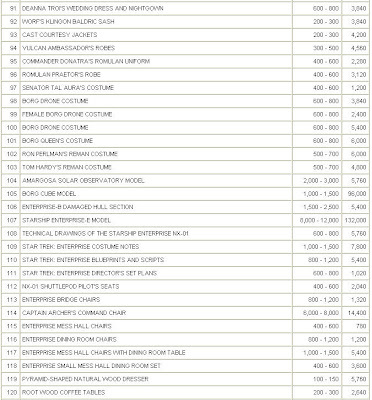 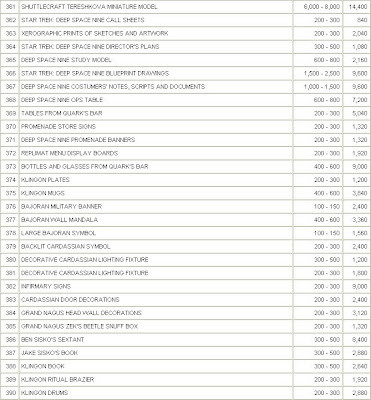 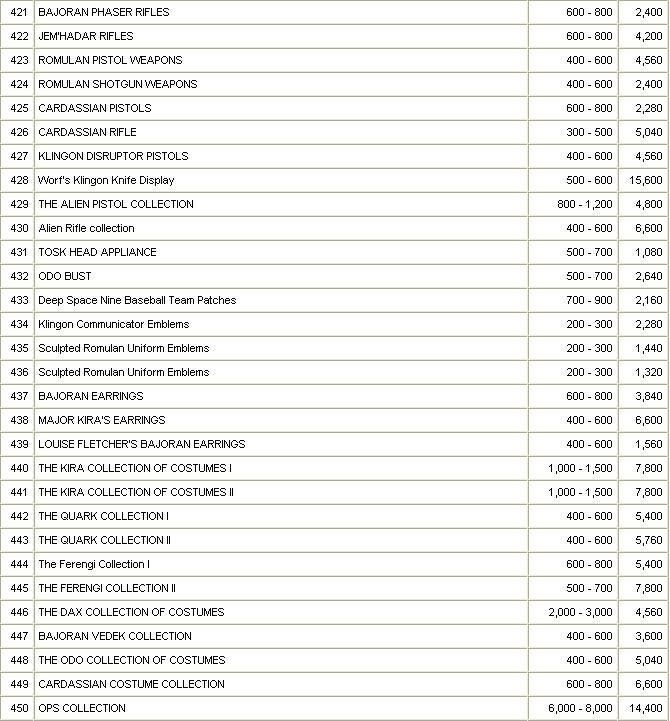 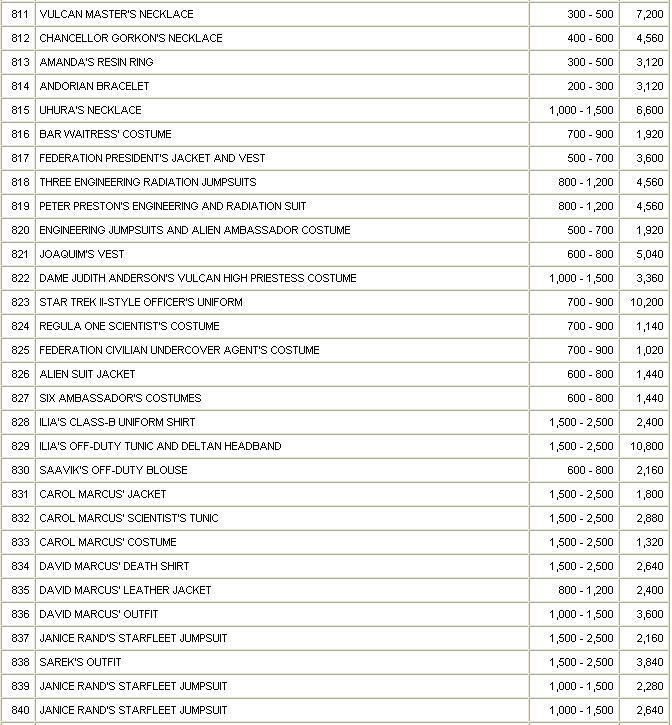 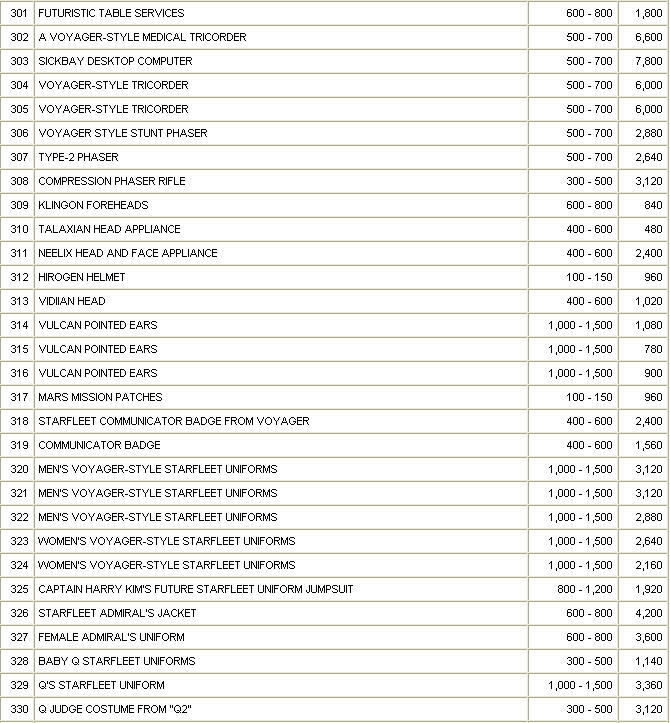 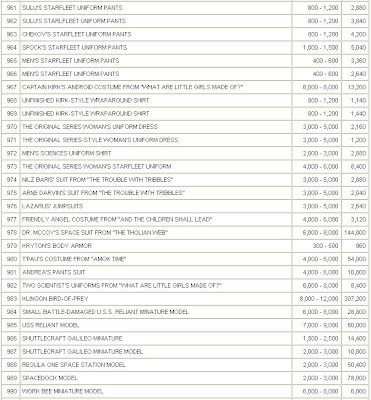 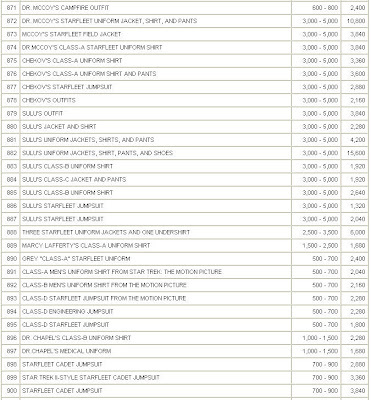 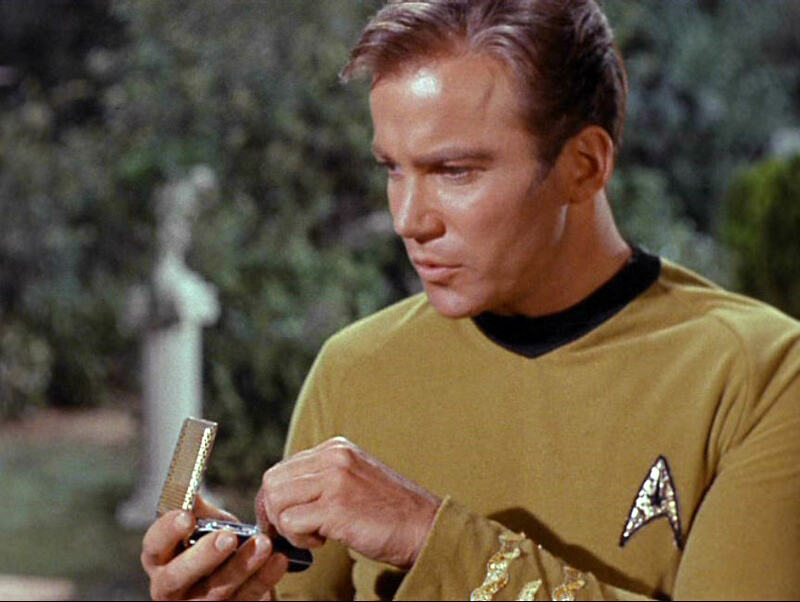 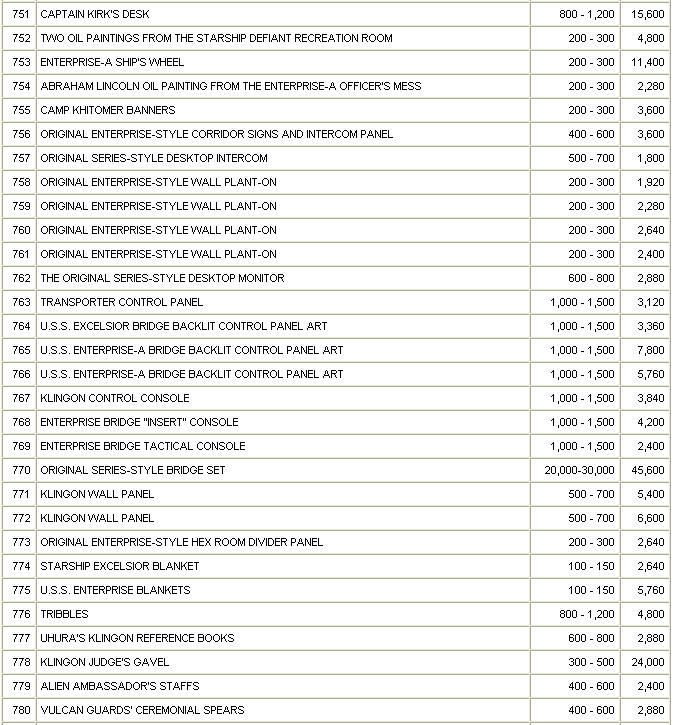 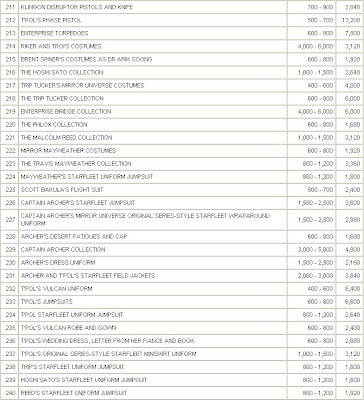 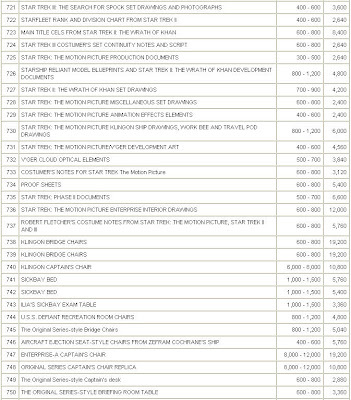 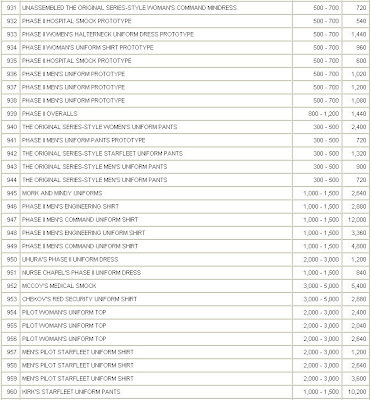 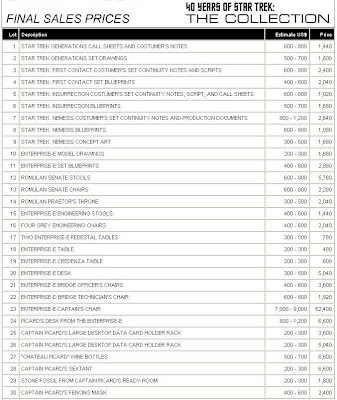 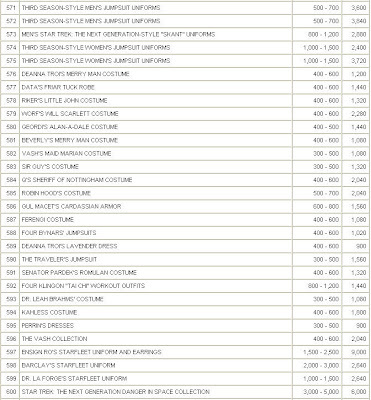 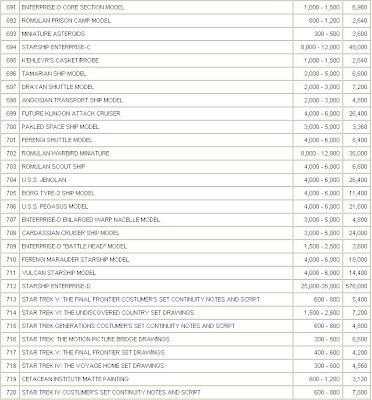 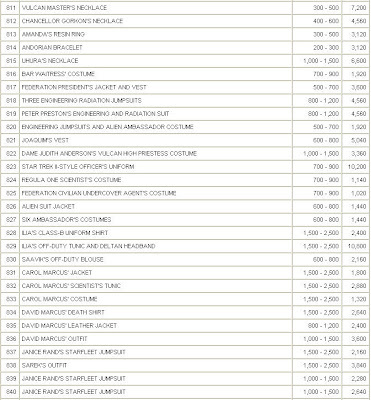 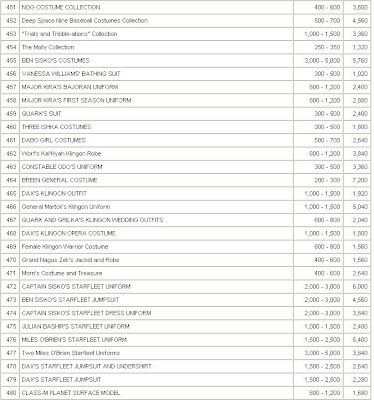 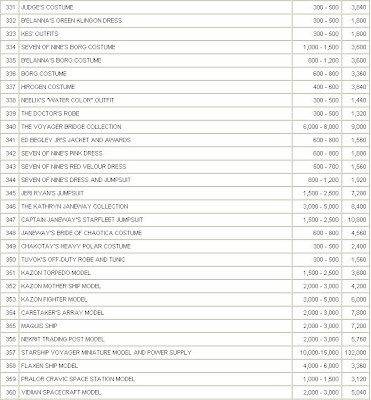 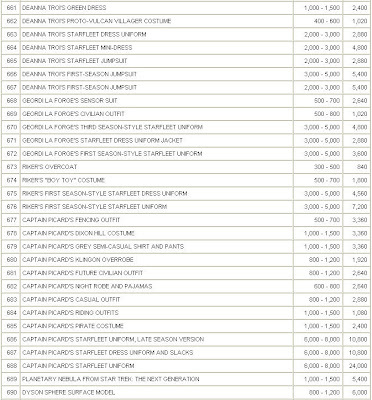 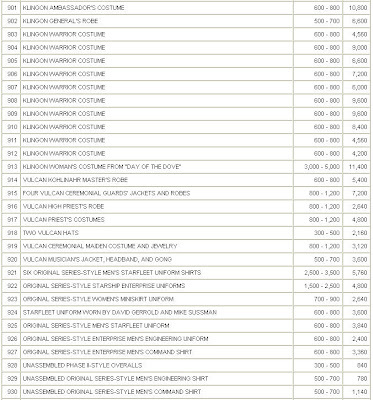 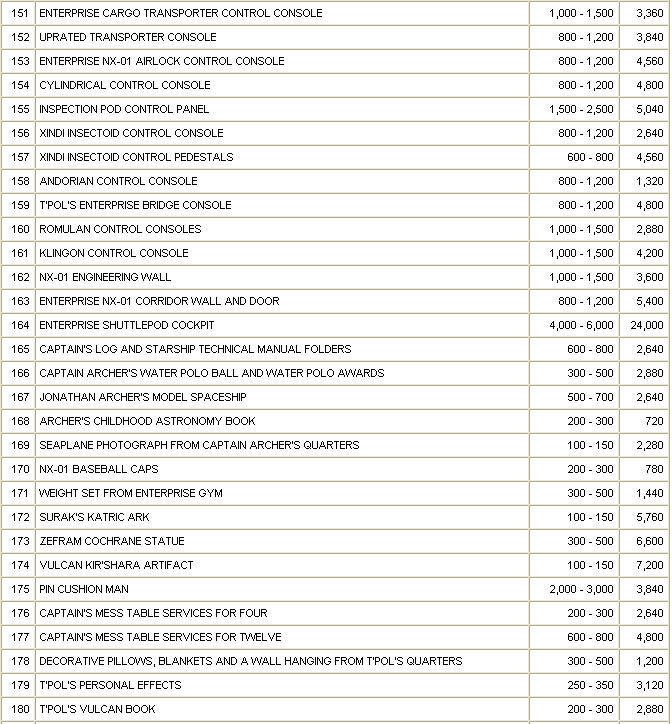 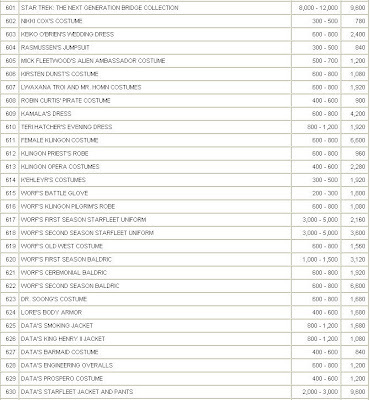 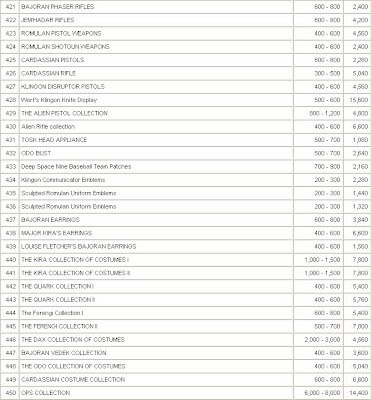 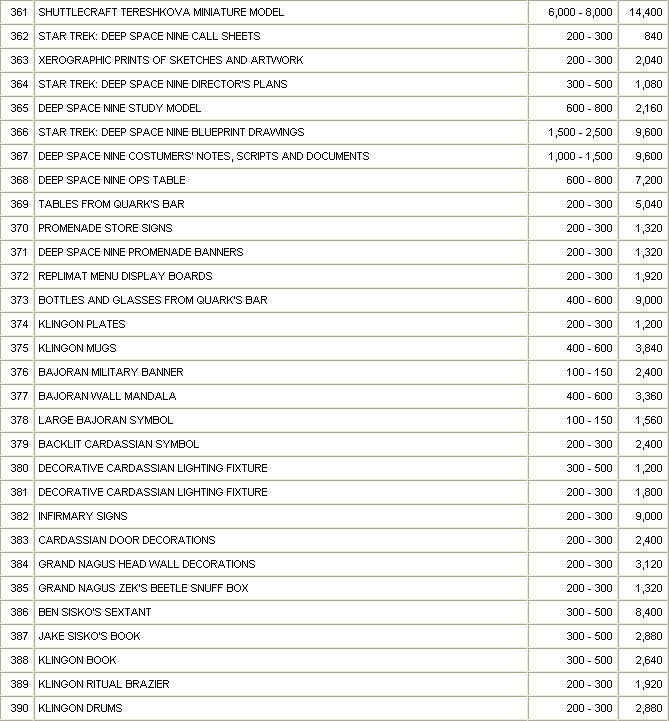 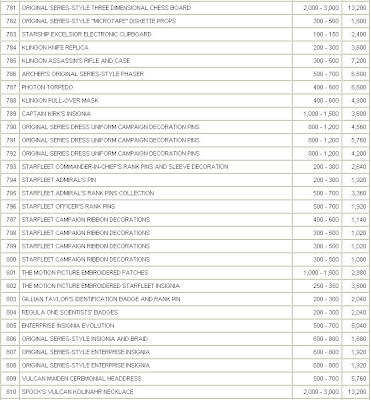 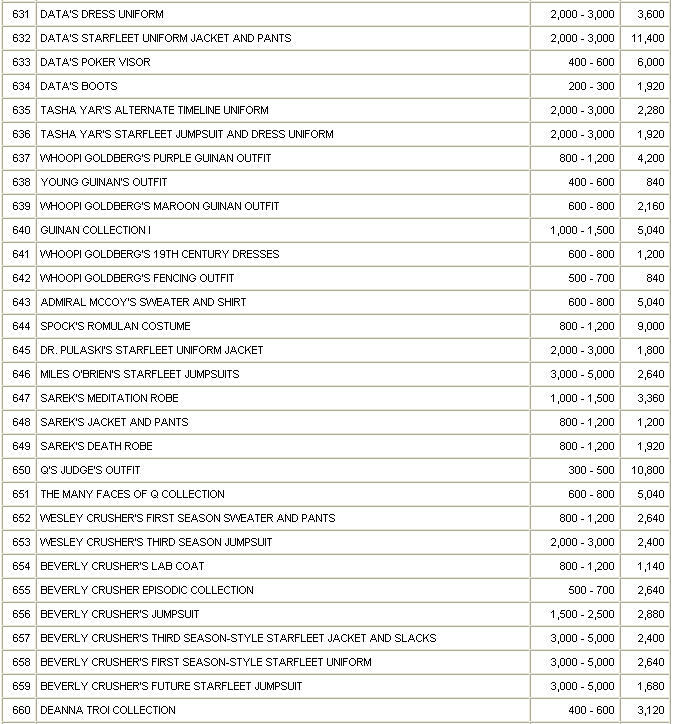 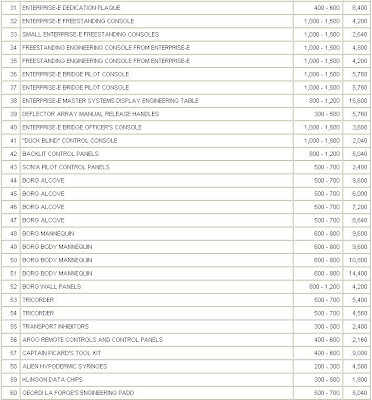 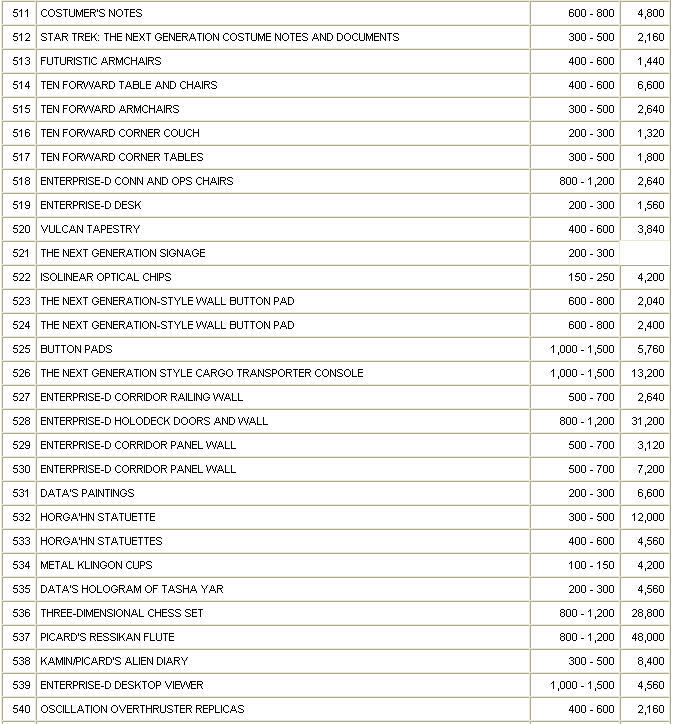 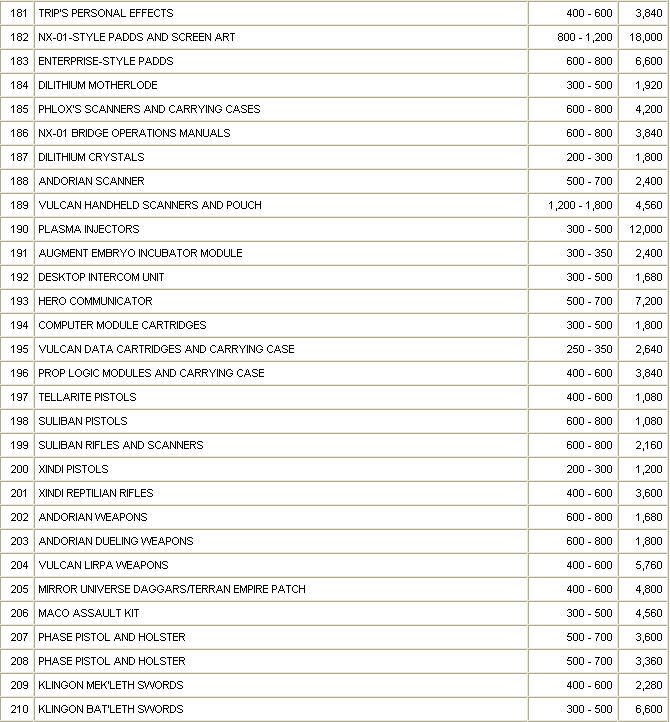 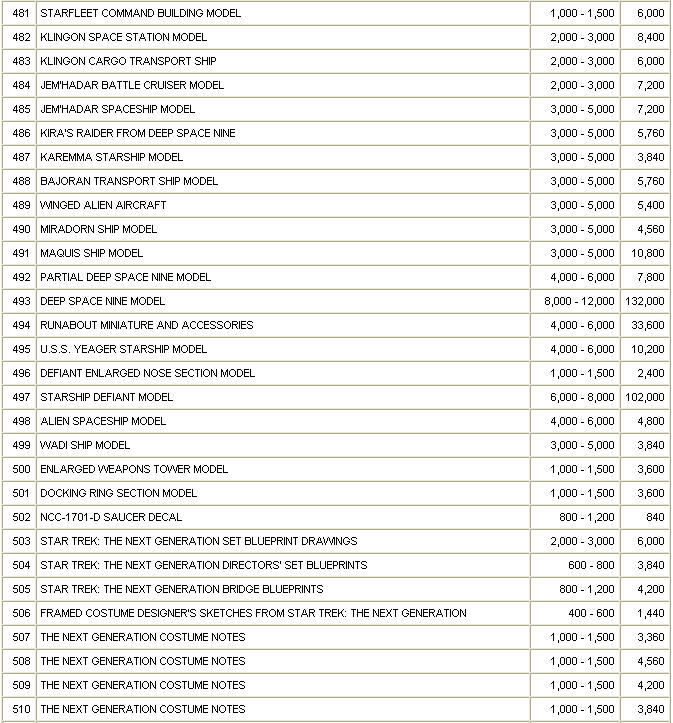 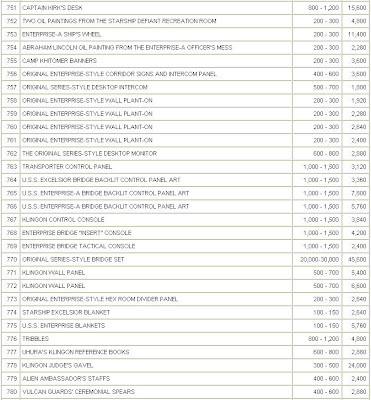 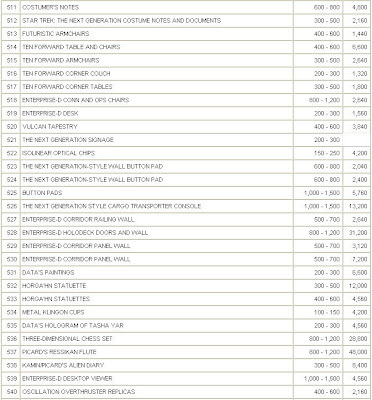 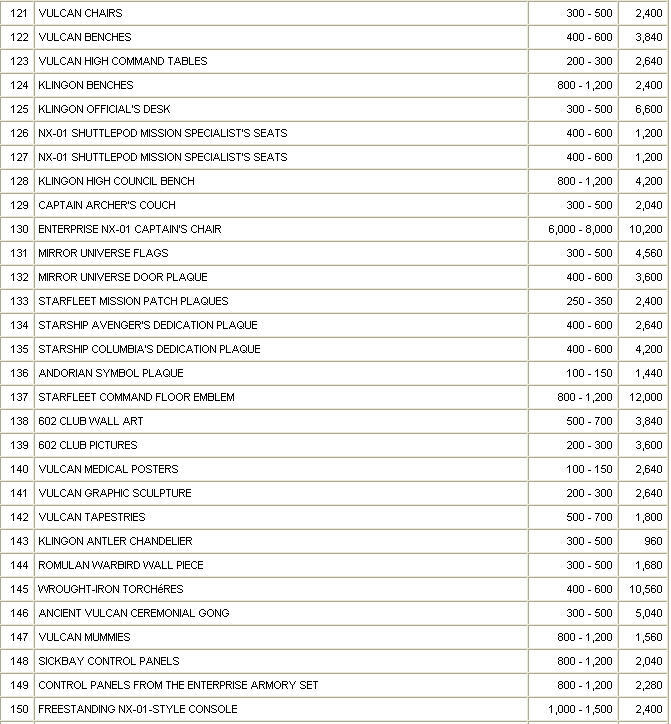 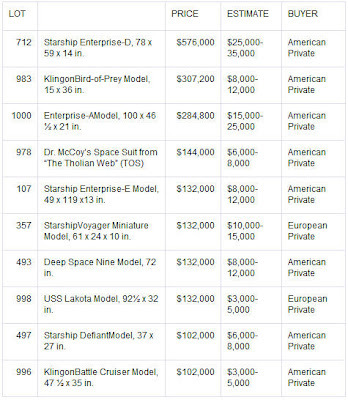 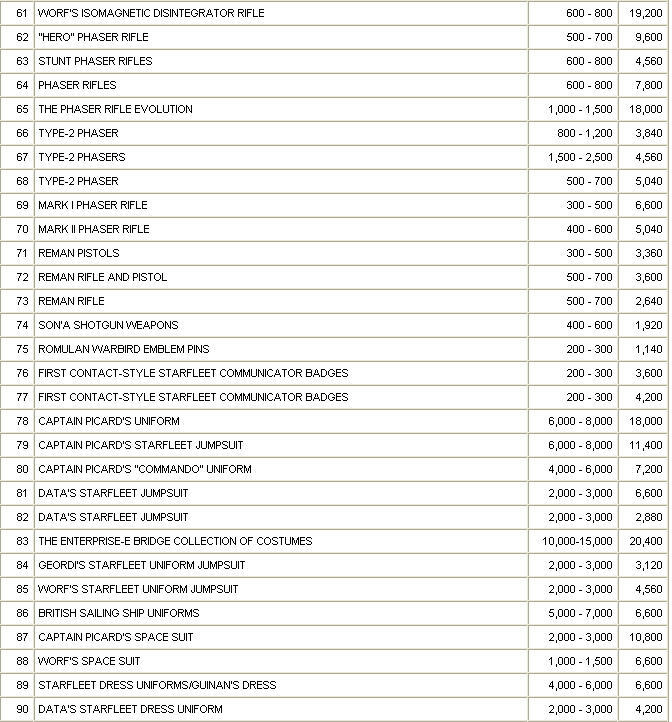 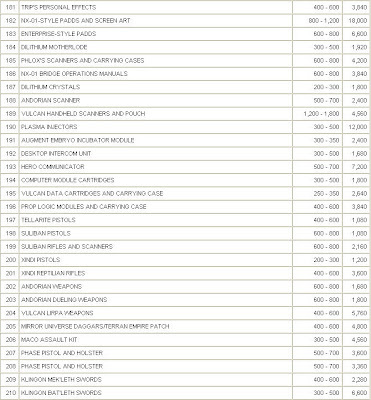 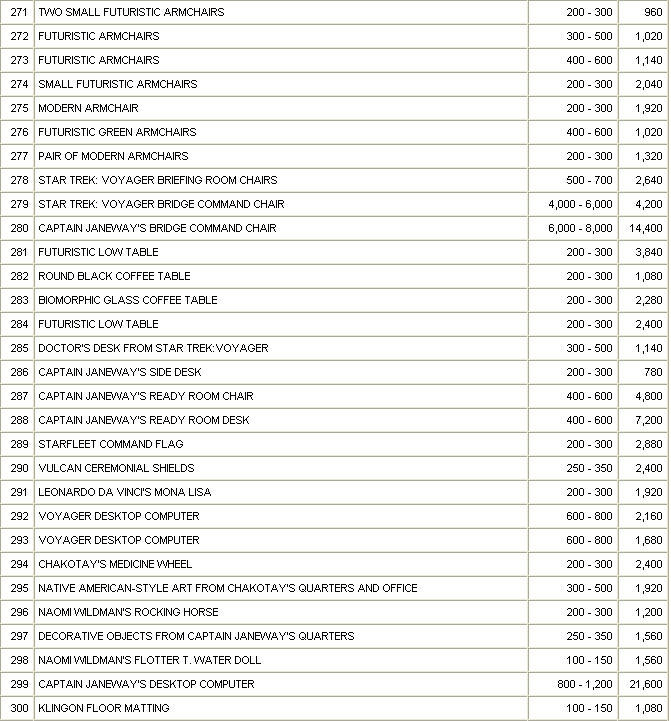 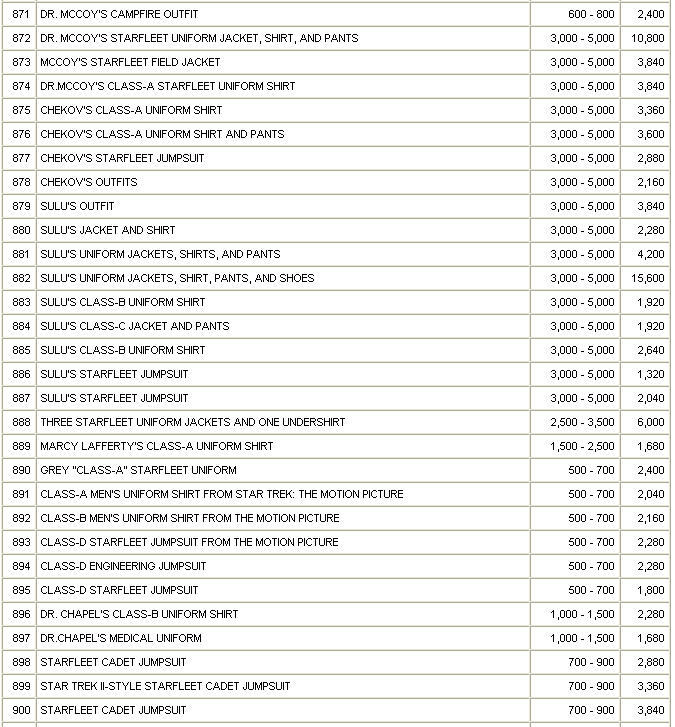 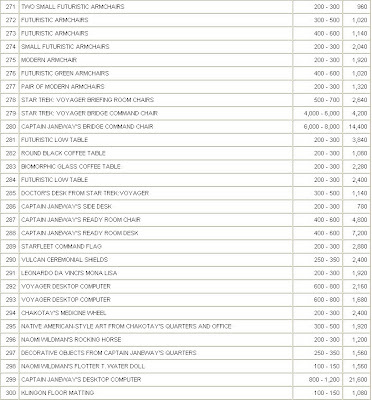 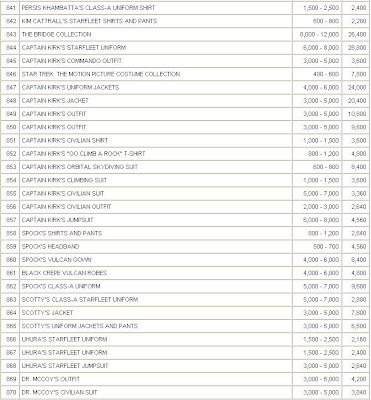 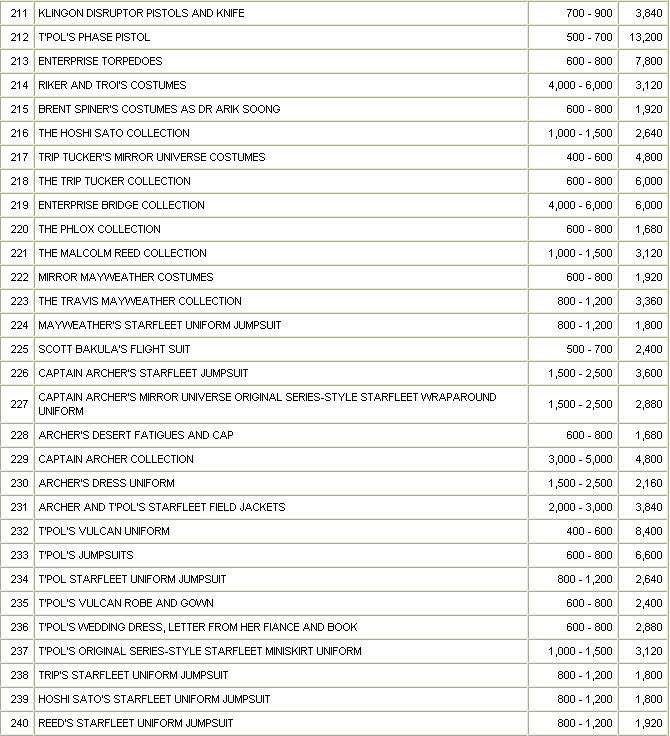 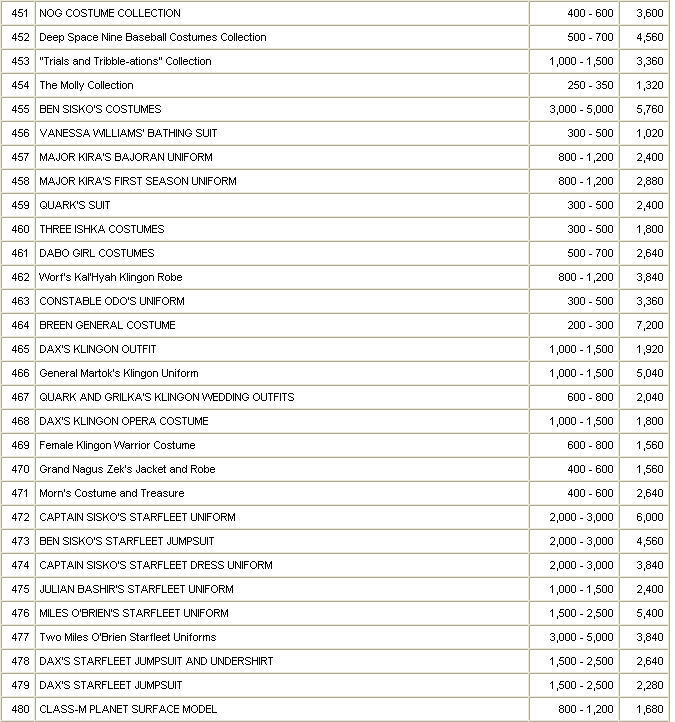 Presented below is a complete listing of the final prices realized for the 1000 lots of Star Trek memorabilia sold by Christie's auction house at their historic 40 Years of Star Trek auction held at Rockefeller Center, New York on October 5-7, 2006. 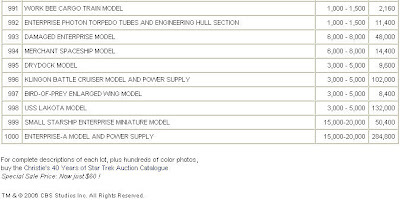 The information displayed for each item includes Lot Number, Description, Pre-Sale Estimate and Final Price (including buyers premium). 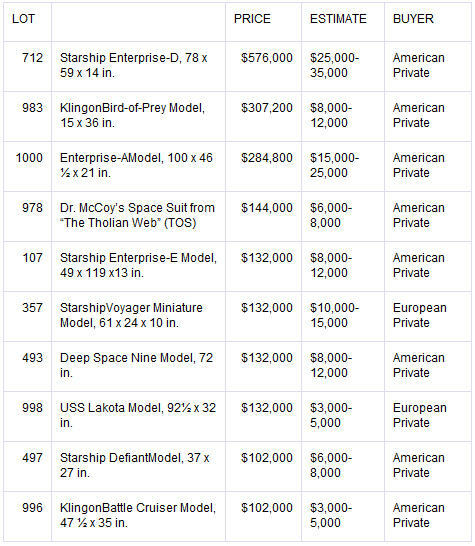 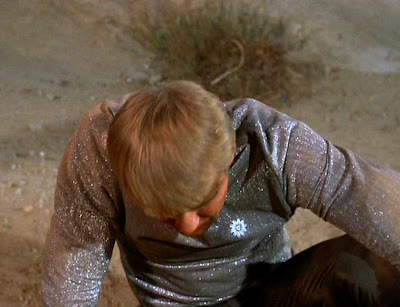 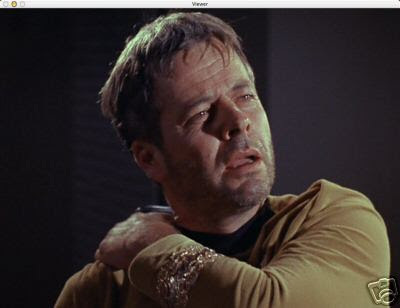 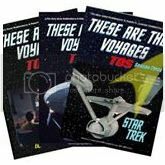 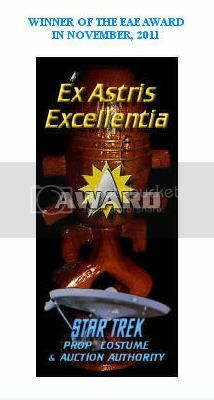 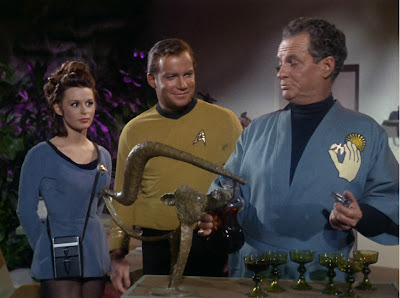 For a detailed photogallery of the memorabilia as it was displayed during the Public Viewings prior to the sale, readers are referred to an earlier article on this website; viewable at: http://startrekpropauthority.blogspot.com/2008/10/christies-40-years-of-star-trek-auction.html The 10 most expensive lots in this auction are summarized in the first listing. 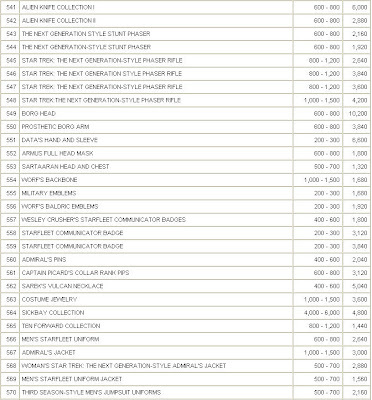 The total revenue generated by this sale was $7,107,040.